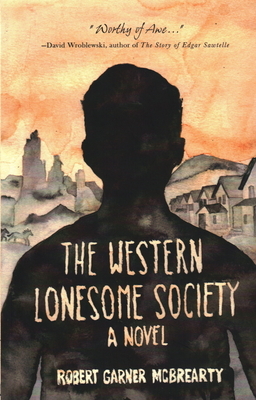 In this hilarious, poignant, over-the-top Western, readers are introduced to Jim O'Brien who is writing a quixotic saga of his ancestors who grew up with a tribe of Comanche. As his grip on reality loosens, O'Brien weaves into his tale an RV trip through the soul of the west and includes a whole host of characters such as modern day stalkers, drug dealers, secret agents, strippers, a mad linguist, an imaginary- ther-apist, and Ernest Hemingway. Having been displaced, each of the char-acters must embark on the great American quest for a place to truly call home. Robert Garner McBrearty teaches writing at the University of Colorado. His stories have been anthologized in the Pushcart Prize and widely published in leading literary journals, including Mississippi Review, The Missouri Review, Narrative Magazine, New England Review, North American Review, and Story Quarterly. He is the author of Episode and A Night at the Y. He lives in Louisville, Colorado.